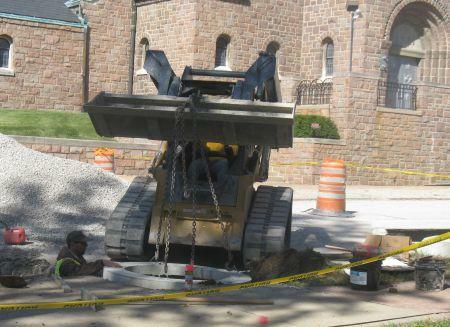 Workers have been putting in new cement pipes and storm drains in St. Louis’ Tower Grove South neighborhood in an effort to stop basement backups. 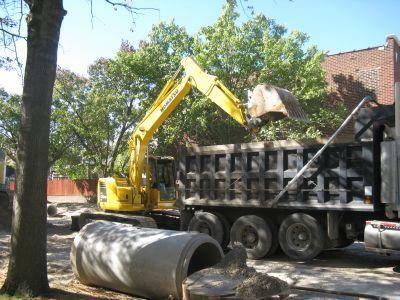 MSD has been working in St. Louis’ Tower Grove neighborhood for months in an effort to update its aging sewer system. In the Tower Grove neighborhood in south St. Louis backhoes and skid loaders have become a familiar sight and sound. Workers are putting in new pipes and storm drains. It’s part of an effort by MSD to eliminate basement backups, which plague this neighborhood during heavy rain storms. The district has been trying to update its infrastructure in recent years, but now MSD is under pressure to do so more quickly. An agreement with the EPA reached this summer sets hard deadlines for MSD to meet federal Clean Water regulations at a likely cost of $4.7 billion. “It’s the 21st century. 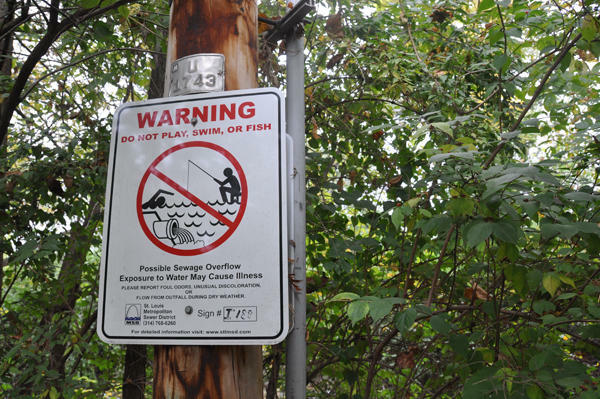 Having sewage in creeks that flows through people’s backyards. That’s not where we want to be,” said Jeff Theerman, MSD’s executive director. He says the decree can be seen in a positive light. Theerman has the unenviable task of explaining to customers that they’ll be shouldering almost all of that $4.7 billion cost. This summer and fall MSD held public hearings on the first proposed rate increase. The district says it needs to invest $1 billion in capital from 2013 to 2016. To do that MSD wants to issue $945 million in bonds, as well as implementing a four-year rate increase. Officials explained the average household bill would rise from $28 today to about $47 by July of 2015. That’s if voters agree the district can issue bonds. Otherwise rates could shoot up to about $73 by 2013. Why fix the problems now? MSD does provide assistance for low and fixed-income residents. But Sharp is not alone in questioning why it’s taken MSD so long to address its infrastructure, parts of which are 150 years old. Long-time MSD critic Tom Sullivan says the district failed to act long after the Clean Water Act was passed in 1972. MSD says it sought all the federal dollars it could. But the district’s officials readily admit that rates were kept too low through the 1970s, and 80s and later when they did try to raise rates they were met with lawsuits. Then in the late 1990s MSD changed its charter to create a 15-member rate commission and give the district the ability to issue bonds and begin to address environmental problems. It efforts to catch up didn’t satisfy the EPA. Rate Commission chairman Len Toenjes isn’t interested in pointing fingers. He’s the chairman of the rate commission, which makes recommendations to MSD’s Board of Trustees after taking public comment. This time the commission is suggesting MSD get slightly less than what it’s asking of rate payers. But even if the Board of Trustees agrees, the difference is minimal - $43 a month for the average household versus $47. Toenjes says there is no easy way to meet EPA’s requirements. The proposal will go to MSD’s Board of Trustees next month and then onto voters who will decide whether to allow the district to issue bonds. It’s not going to end there, though. MSD estimates to meet the EPA’s consent decree the average household’s bill could eventually rise to $80 a month.